10" Stainless Steel Bore Gauge Holder. 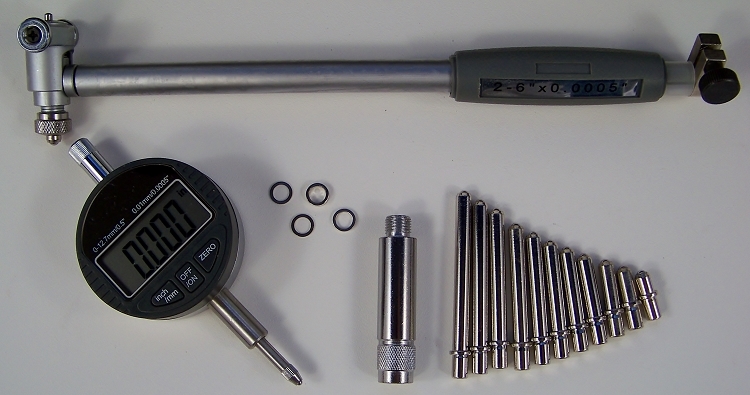 Ball Tip Extensions in sizes 2.0", 2.2", 2.4", 2.6", 2.8", 3.0", 3.2", 3.4", 3.6", 3.8", 4.0". 2" Thread in universal extension (adds 2 inches to above sizes). 4 Spacer .10" to .02"